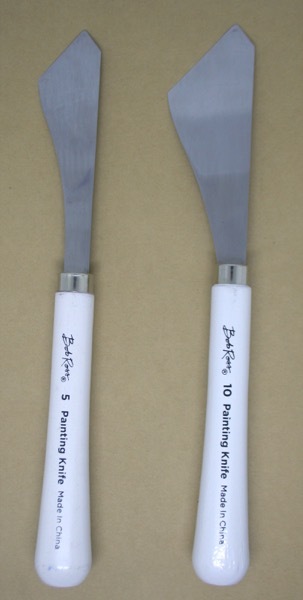 Larger and firmer than traditional painting knives, the Bob Ross palette knives work like magic! Straight-edged blades are unique to the Ross painting method and make loading very easy and simple. The smaller knife is excellent for areas that are difficult to paint with the standard-size knife.